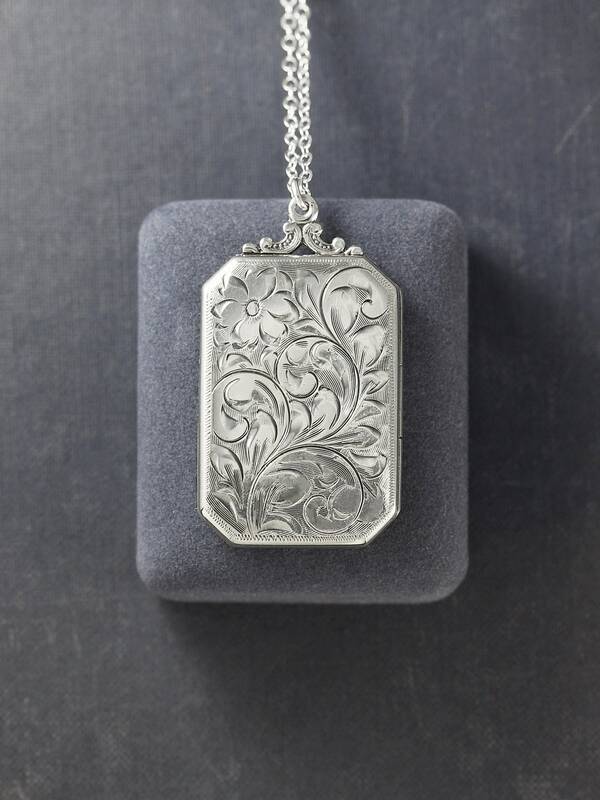 A gorgeous circa 1940's sterling silver book shaped locket is crowned in filigree inspired detail and hand engraved with a stunning flower and swirling vine design. 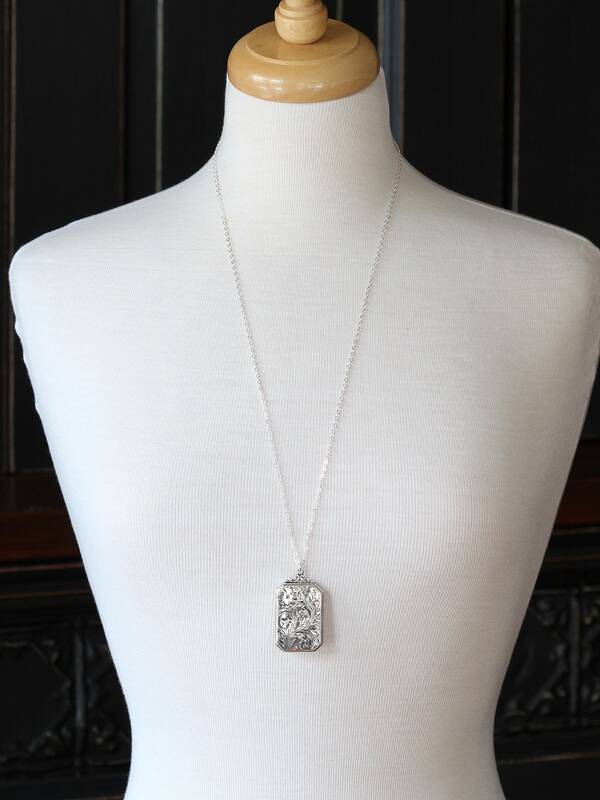 This unique vintage photo pendant opens to reveal two removable frames ready to hold your beloved photographs. 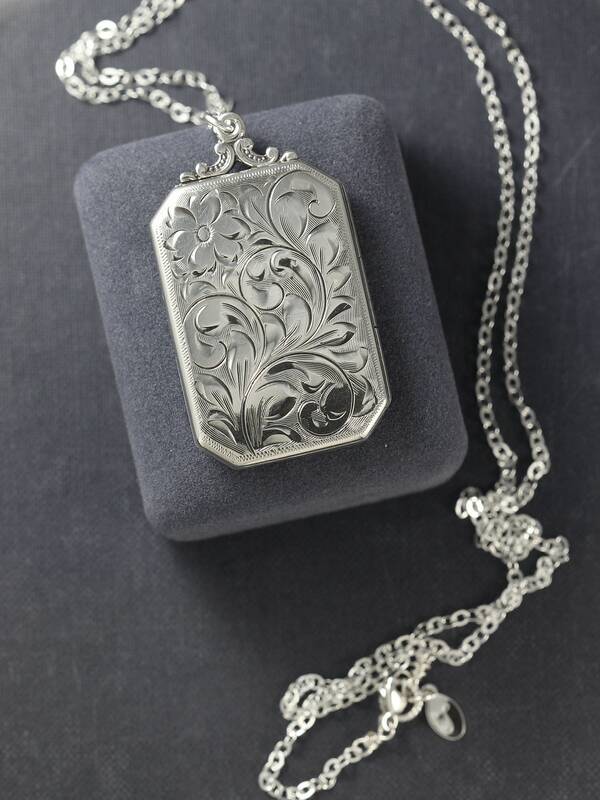 The locket was made by the renown Birks and Sons of Canada and is marked accordingly. 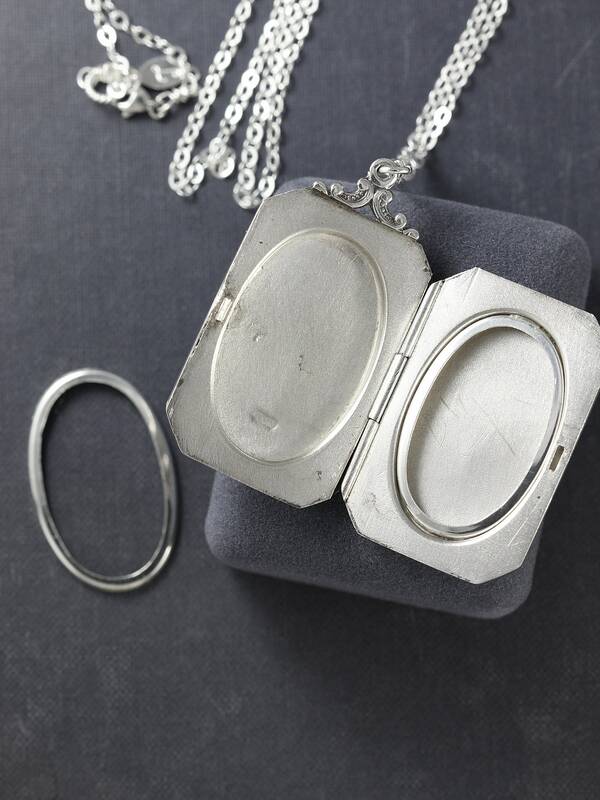 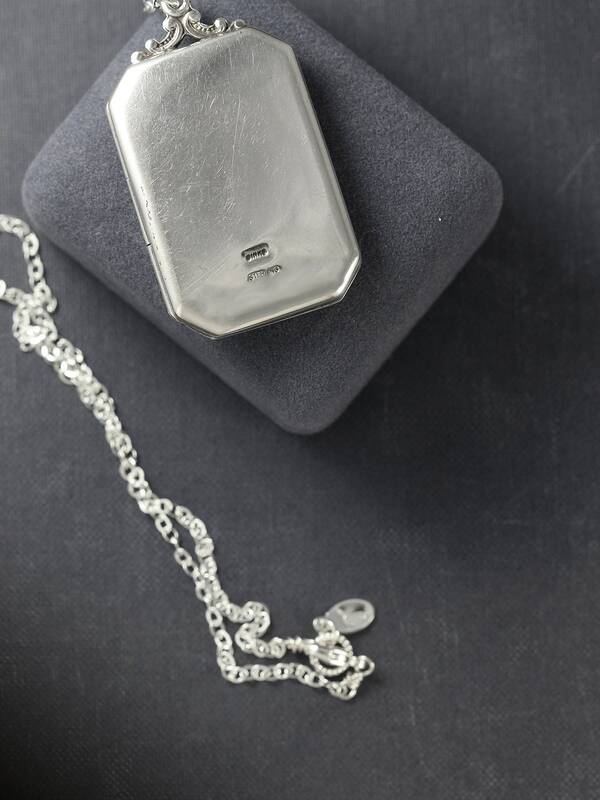 The locket is set on a new long cable chain of sterling silver hand finished with my hand wrapped trigger clasp and ring.